Musculoskeletal injuries and disorders are a major problem in the Australian workplace. Injuries and disorders of this type are a significant cause of workplace compensation claims. 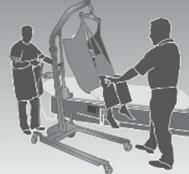 These issues are most commonly caused by manual handling mechanisms; the forces and fatigue, to which the body is exposed when handling objects makes manual handling a hazardous task. Approximately 33% of all serious workers compensation claims in Australia are the result of lifting or handling objects . 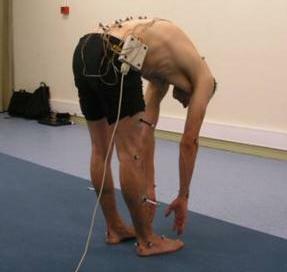 The body region most commonly injured is the lower back. The idea to develop a smart posture monitor, to reduce the prevalence of lower back injuries and improve their management, was proposed by two physiotherapists, who experience first-hand the difficulties in changing poor postural habits in the workplace. This experience indicated that technology could be part of a solution to the problem. In partnership with the Biomedical Engineering Department at Flinders Medical Centre, and physiotherapists who specialise in the treatment and prevention of musculoskeletal injuries, FBE is developing a posture monitor for the management and prevention of injuries related to posture. The Biomedical Engineering Department developed the initial device and received a Safe Work SA Grant to conduct a clinical trial. 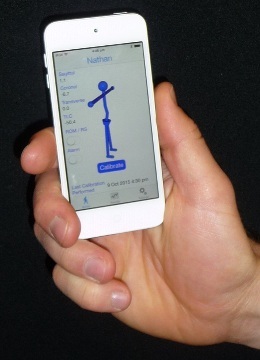 The trial demonstrated the potential for smart biofeedback to change bad posture habits, after which an award winning Flinders University honours project was conducted, to replace wired sensors with wireless versions communicating with a Smart Phone or similar Bluetooth capable device. FBE is consulting with workplaces to tailor the posture monitor to the user's requirements, and exploring commercialisation avenues for the posture monitor. Synchronise data to The Cloud to allow users to track their progress.